In my recent interviews with many communications managers, one of the key problems that comes up is the time spent on coordination. However, a few companies seem to have a much lower communication overhead because a strong brand story allows the delegation of decision-making. As a result, organisations which invest once in a clear narrative about their brand benefit repeatedly, and quickly, from their strong foundations because managers in each function are able to autonomously put the story to work. The opportunities are thus clear: if a company is able to put the evolution of its brand into the structure of a narrative, in which there are protagonists, struggles and outcomes, then the reality of the brand is easier to explain and can be put work more quickly. A brand narrative allows business units to align their work. If that story is also amplified by developing creative and graphic elements, then each marketing and communications function can adapt the narrative and hit the ground running. If the narrative is strong – which means it’s right first time – it can easily be adapted to different markets, segments and solution areas. However, working in this way creates a clear hierarchy in which brand (as understand in terms of the brand promise, its crystalisation into a narrative and its extrapolation into messages and creative strategies) is the parent of other marketing activities. Some managers support this approach because it means that one coherent story is developed, and each function is delegated responsibility for leading its work. It forces departments and agencies to get ‘inside the head’ of the brand. Needless to say, not all managers enjoy this approach. Marketing leaders find success when they appreciate the consistency of their brand, are able to get away from the features of their solution, are able to speak compellingly about clients’ priorities and are are to work well with other marketing functions. However, if managers are allowed to remain as functional specialists without an understanding of brand and marketing as a whole, then they will be unable to make the brand story real and consistent and will resist the apparent ‘loss’ of autonomy. Related post: How vinyl pinted signs affect your marketing campeign? The simplest solution is proximity: to ensure that the staff are exposed to other’s work so that they see how each function is a different lens for the same challenge. A rich dialogue with clients and each other is needed to ensure that creative, research, communications and other teams can develop a common language and respect each others’ contributions. 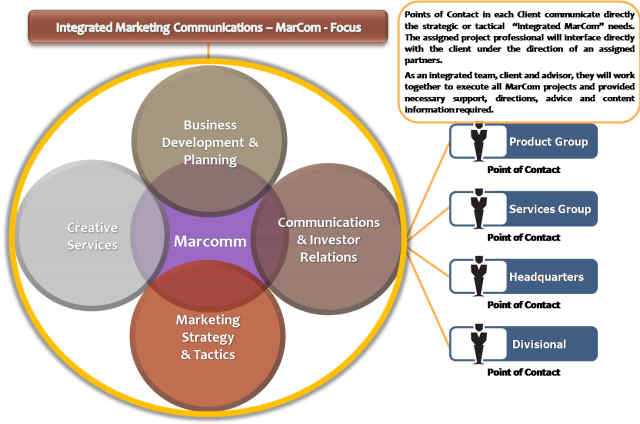 That alignment between marketing functions also brings alignment with corporate and client needs. If, for example, advertising and sales are dislocated then the company might produce memorable adverts which do nothing to boost profitability. But with alignment then, for example, advertisers will seize on actionable research and customer insight to give life to the brand. This article first appeared at Inzeption.org. ← Should other analysts copy Yankee’s affiliate network? Fantastic article, Duncan! I refer to this alignment as “building a narrative organization”.